Create the Infrastructure To Get Cases Out the Door And Get All-Star Performance From Your Team! In this Management Mastery Class, you’ll learn how to build and implement the Management systems needed to create a high-performance team in your law firm…allowing you to grow your firm FASTER & EASIER than ever before! If after the first day of class, you are not glad you registered, not only will we issue you a full refund, but we’ll also give you up to $500 of documented travel expenses! The risk is all on us. With both the law firm owner and the designated Law Firm Administrator/Office Manager together at the Workshop, you’ll be taught how to find and lay out the true vision of the law firm, expectations, authority levels, and develop a management implementation plan. This allows you to move forward as soon as you get back to the office so you can quickly change and control the internal structure of the firm. BEST OF ALL, once this is implemented, the law firm owner is freed up to focus on marketing and growing the firm while the Law Firm Administrator/Office Manager is able to ensure the management systems are in place to support the vision of the law firm. Both the law firm owner and administrator/office manager begin to row together in the same direction instead of just going in circles. What Will the End Results Be? Only 50 Law Firms Can Attend! Join This Mastery Workshop NOW! Are You Tired of Your Law Practice Running YOU…Instead of You Running It? Are you tired of unproductive employees who lack motivation and constantly cause drama in your office? Do they have too much time on their hands or are they just simply not a good fit? Truth be told, it’s not always the employee. The majority of lawyers don’t have a clue about how to hire superstar staff. Just as importantly, most firms don’t effectively train the staff they do hire. There is rarely any real in-depth training for new hires in law firms. What I see more often than not is, new employees are told to shadow another employee for several days and then they’re being thrown out in the waters and made to sink or swim. If so, you are not alone. Like I said, in-depth training and superstar hires are NOT THE NORM for law firms. What’s worse is that even if new employees manage to halfway learn their jobs, getting maximum or even above par productivity out of them is next to impossible. It goes without saying that managing employees and lawyers is by far THE biggest headache when it comes to running a law firm! Just as disturbing for far too many firms is that they are held hostage by employees who learn their jobs well, but fail to train others properly, in attempts to leverage their own job security, but at the firm’s expense. What if I told you I was willing to share the secret weapon I used to set up and manage the law firm I grew from 2 lawyers and 3 staff members to 13 lawyers and 47 staff members in less than 5 years? The bottom line is this: Successfully growing your law firm involves much more than just getting more clients in the door each month! You need the infrastructure and a high-performance team to get the cases out the door. To do this, you need a Cracker Jack COO, Law Firm Administrator and/or Office Manager to help you create that infrastructure and high-performance team! I was fortunate to have had such a person in my life: Cheryl Leone. When people ask me if coming to PILMMA is an investment or an expense or an investment with a return? I’d say it’s an investment with a return because you get so much more out of it than you put into it dollar wise and the amount of time that I spend here at PILMMA is well worth it. So, I think it’s just a great investment. Where else can you go to be with other lawyers and other legal services where you can learn so much? There is not enough money available in the world for me not to come back because I enjoy it. I feel like Ken is super genuine in what he’s trying to give away. The numbers, the examples and the scripts that Ken gave will make us a bunch more money. If you’re on the fence and assessing if it’s worth your time or not…I can tell you that if you only take one nugget away, it will make you a bunch more money (unless you’re allergic to money). The biggest sticking point for us in our law firm was a lack of policies and procedures and getting systems in place which is what Ken is known for and good at. This event is going to help solve that problem by being given the resources to take back to our law firm and implement – with modifications on how we do business – but to have the templates and groundwork to utilize. If you’re on the fence about coming to one of Ken’s events, do not hesitate, it’s well worth it! Cheryl was instrumental in my law firm’s ability to handle the tremendous growth we experienced. Without her expertise, we would have never reached the level of success that we did, which allowed me to operate and then sell a smoothly running 7-figure law firm! Fortunately, Cheryl now consults with other law firms throughout the county on a limited basis. I have been asking her for years to share her knowledge with our PILMMA members. She has finally agreed to unlock her vault of knowledge and the secrets she implemented in my previous law firm as well as other law firms across the nation. Her unique perspective is something you will not want to miss! Cheryl agreed to do this with only one condition: that the Workshop is the real deal, presented in practical terms that others could really use to help them better manage their law firms. Well, if you know me – I’m a practical, nuts and bolts type of man – give me meat – save all the fluff for someone else! So, needless to say, I was overjoyed when she made this request. As a result, Cheryl and I have put together a, no holds barred, two-day interactive workshop. This 2-day event is designed for BOTH the managing partner and their Office Manager/COO to attend together. Our goal is for you both to leave with a real plan, along with the forms and templates you need to create an infrastructure and high-performance team that takes your law practice to the next level – just like we did at my firm! You can view the complete agenda below. Suffice to say that this Mastery Workshop will be intensive in nature. You both will have to roll up your sleeves and actually work. But you will leave with a solid game plan ready to be put into practice with each of your roles more clearly defined. There is one catch! We are only accepting 100 people (50 law firms). The price for both you and your office manager/COO is only $2,997.00 (If you are a PILMMA member). Non-members pay $4,797.00 for two seats. If you are ready to solve your management headaches, I urge you to act now and register ASAP. This event will definitely sell out quickly. If you fail to take advantage of this rare opportunity, you’ll be kicking yourself! As with all PILMMA sponsored events, this program is backed by PILMMA’s 100% Ironclad Guarantee. This really is a no-brainer if you’re interested in building a highly profitable and highly scalable law firm. Register TODAY before we sell out of seats! P.S. Act now – only 50 LAW FIRMS can attend. Once they’re gone, they’re gone. P.P.S. This event is backed by PILMMA’s 100% Ironclad Guarantee. No risk to you. For the first time ever, lawyers have access to Ken Hardison and his former law firm administrator and secret weapon – Cheryl Leone – who helped him transform his small 2 lawyer – 3 staff person operation into a 13 lawyer and 47 staff person prominent law firm in less than 5 years! This is not a sit-and-take-notes type of event. This is a WORKshop, meaning you will be getting work done for 2 days! When you go home, you and your firm administrator/office manager will have a fully developed management plan and the systems to create a scalable infrastructure mapped out so you can go home and implement right away. *Remember, your ticket also comes with a ticket for your firm administrator/office manager/COO. A thorough deep-dive into the systems and infrastructure that Ken and Cheryl implemented at Hardison & Associates (now Hardison & Cochran). These systems allowed the firm to rapidly grow in little time, becoming one of the largest and most successful injury firms in North Carolina. How to not only get more productivity from your team, but how to find the best people for your team and set up your firm in a way that allows great team members to become even greater. How to build the most effective relationship between the managing partner and firm administrator/office manager so that the firm can be led and excel with ZERO friction and 100% efficiency. And much more! All management headaches of running a successful law firm will be covered and squashed! KEN HARDISON has fought for people’s rights as a trusted personal injury lawyer for over 35 years. His ethics, integrity, and passion for his clients helped to build one of North Carolina’s most successful firms, Hardison & Cochran, and a successful Social Security disability firm, Carolina Disability Lawyers, in Myrtle Beach, South Carolina. Now, as owner and publisher of the law firm management website, Law Practice Advisor, and founder and president of PILMMA, the Personal Injury Lawyers Marketing & Management Association, Ken devotes his time to helping attorneys build their own preeminent law practices with proven marketing strategies and management resources. Ken has been recognized as one of the top 100 Trial Lawyers in North Carolina and is a member of the exclusive Million Dollar Advocates Forum. Systematic Marketing is his tenth book. Ken has authored 5 books on marketing and managing law firms. 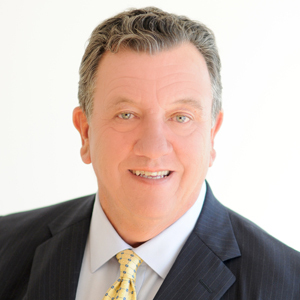 He is a sought-after speaker throughout the country on marketing and managing law firms. income following Ken’s practice growing advice and insights. Ken lives in New Bern, NC where he enjoys playing golf and fishing when he is not helping lawyers grow their practices. CHERYL LEONE is known for her high energy visionary work with service professional practices. 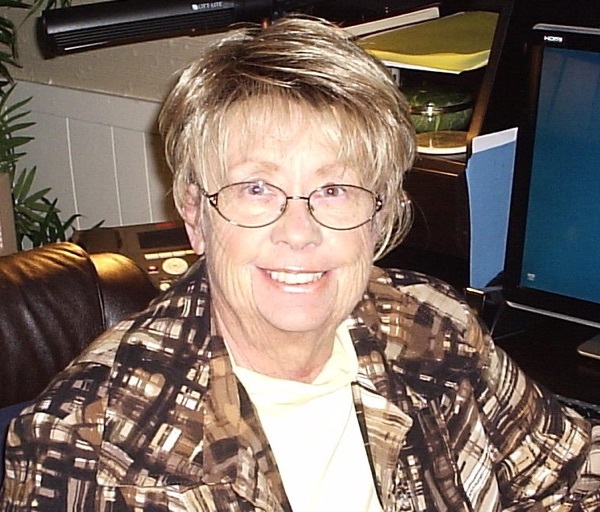 She has brought the art of best business practices to professional practices. She believes in strong work and life ethics coupled with a positive work culture and true team interaction between lawyers and paralegals and staff. She delivers her speeches and her work with humor coupled with a common sense approach to the art of management, mastering and marketing your practice. Under Catalyst Cares, a division of Catalyst Group, Inc., as a company principal, Ms. Leone donates a significant portion of her time to professional associations for lawyer and paralegals. She waives speaking fees to non-lawyer employee retreats and employee recognition events. In addition each year the corporation donates portions of each contract it held for that year to charities selected by its client and the corporate board. In the first 5 minutes, I learned something from Ken that is going to help my law firm, help me make money, help me retain employees…it’s worth every penny! I think every attorney has problems hiring great people, retaining great people and training great people. Those are the people that service our clients. And because client service is very important to me and it’s also important to Ken, he gave me a lot of good advice about it. Ken is very honest and gives you straight-forward advice. He doesn’t sugar coat it and I appreciate that about him a lot. My whole philosophy is if I know of someone that has been there before, I think it’s a good idea to go and learn and gather some wisdom from that type of person. Ken is that type of person. The nice part about the Master Class and working with Ken is he can essentially set forth a blueprint for you because he has been there before and has so many experiences. It’s really an open format so you always have the opportunity to ask questions. Anything that you would like to discuss with him, he’s an open book. I will be able to take home alot of the things I learned here and implement them back in my practice. If you’re on the fence about attending a PILMMA event, I would say you have nothing to lose…just come and experience it and take it all in. If you don’t attend you’re really missing out. Even though I’ve been practicing for over 40 years, I know there’s always something additional I can learn – especially from Ken Hardison. I think the systems and methods of implementing that Ken has shown me are going to help me greatly. Any attorney that’s considering whether or not to attend a PILMMA event, you definitely need to, it’ll make a difference in your practice. Lastly, I just want to thank Ken for helping me over the years for making my practice a lot easier to run. What a few attorneys have to say about Cheryl Leone and Catalyst, Inc…. Nothing I learned in law school was helpful in figuring out how to handle it when staff member I valued and needed and the staff member I needed and valued were in constant conflict. I went online and found Cheryl. She met me that morning. Sitting at her dining room table, she talked me through the crisis and out the other side. I had called her in tears; I left a confident business owner and manager. She has done the same thing, under only slightly less dramatic circumstances, again and again over the years. She is my crisis manager, resource coordinator, strategic plan administrator, my visionary, my cheerleader, my rock. With her help, my practice has grown beyond my expectations but is nowhere close to reaching her expectations. If you can’t see beyond the next curve in the road, go see her and let her show you the satellite view. Direction. Discipline. Cohesion. Systemization. Focus. If you are lacking or missing any of these things, you need Cheryl and Dave’s help. These two are the real deal. They don’t come to you and try to implement a one size fits all approach. They learn who you are and what you want and they give you the tools to get there. So many times we get stuck in a pattern of returning to what is comfortable. Cheryl and Dave will keep your sights focused on pushing forward. They take a true interest in every person they help. They are fiercely loyal and will do everything in their power to help you succeed – whatever that means to you. Almost 10 years ago, I had a crazy idea to start my own law firm. I am forever grateful that I was referred to Cheryl and Dave at Catalyst for guidance on this venture. I went to their home office in Raleigh and Cheryl graciously sat with me for over an hour probing me with tough questions about my vision for the firm. At that meeting, she didn’t ask me about office space or computer programs; she asked me to clearly and succinctly articulate why I wanted to have a law firm and what I wanted my firm to accomplish. These were much harder questions than ones that focus on setting up trust accounts and creating a web page. Not that they couldn’t tackle these issues as well. Over the many years that I worked with Cheryl and Dave, we dealt with a wide range of challenges from personnel issues to partnership agreements to purchasing property. They have always delivered practical advice with integrity and compassion. But most importantly, they have inspired me to be crystal clear about what The Noble Law means to me, our clients, our peers and communities. They are very special people with extraordinary hearts and minds. Run, do not walk, to their doors. Sign Up Today Before Seats Sell Out!!! ***Your ticket includes a ticket for your Law Firm Administrator/Office Manager. In order to participate in this Workshop…you must bring your Administrator or Office Manager! Are you a member and want to sign up? Claim your special members’ pricing by filling out the form with your First Name AND the Email Address you use with your PILMMA Membership. When correctly entered, you’ll be redirected to the special Members’ Only Pricing Page. If you ARE NOT a member, click the button below to register. ***SPECIAL PRICING: If you’d like to become a PILMMA Member and instantly save on the Mastery Workshop, from the order form, add the “Gold Member – 3 Month Special” to your order. Not only will you get 3 months of PILMMA Gold for the price of one, you’ll also instantly get the Members’ Only Workshop Discount! (in order to get the special pricing, you must stay a member for at least 9 months). We’re negotiating an incredible – limited supply – discount group rate for rooms at our event venue, the world-class Washington Duke Inn. Instructions to take advantage of this Room Block will be announced soon. In the meantime, be sure to lock in your seat for the Management Mastery Class. 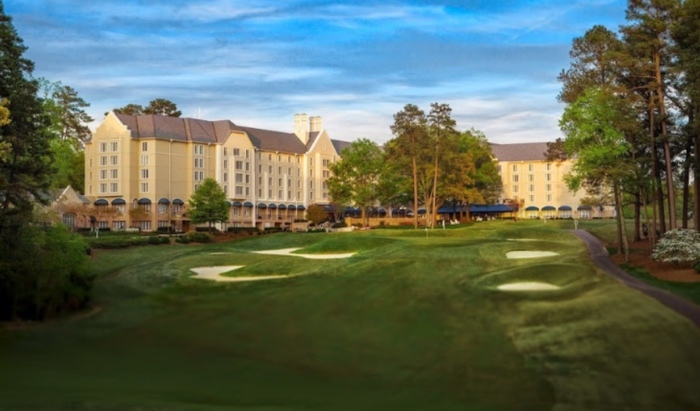 The Washington Duke Inn is a AAA Four Diamond award-winning hotel featuring an 18 hole golf course among 3 miles of hiking trails through Duke Forest. You’ll have plenty of nightlife options and in-hotel amenities to enjoy when you’re not hard at work on your law practice.